September, serious month. 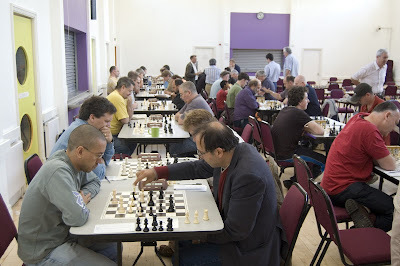 Back to work, back to school, summer in descent, the sense of a winter sun, the chess season approaching, everything in full-swing or about to begin again. 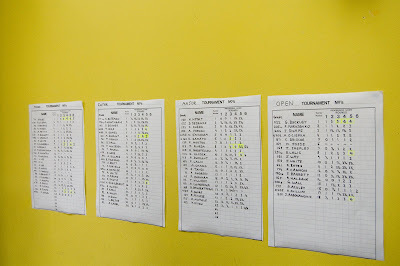 And . . . . why not start it off with a nice rapidplay tournament for a bit of practice? 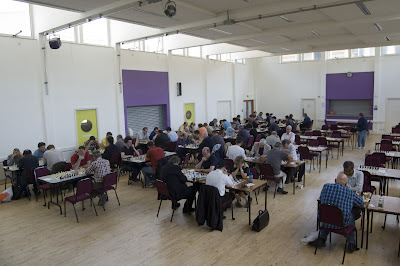 This Sunday the 7th will see the Richmond Rapidplay return in its 79th incarnation down in Hampton, and you can click here for more details or here for the PDF entry form. I'll be there, trying to work out just how rusty I've gotten over the summer. 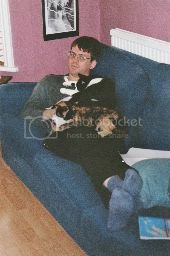 And here are some photographs from the last one, supplied by our man on the spot Vad, who'll also be playing this Sunday. Tough competition (click to enlarge) . . . 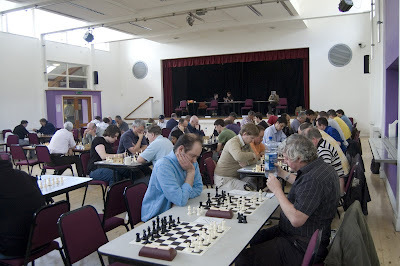 The tournament hall in action . . .
PS. The final post in the "Improve Your Chess" series will appear tomorrow, rather than today. 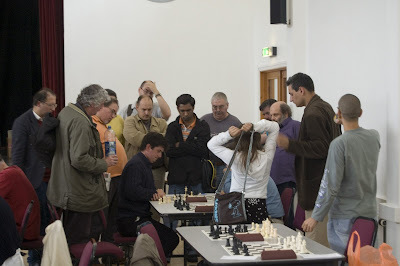 In the third photo, which I would guess shows in the foreground the top two boards, both IM Graeme Buckley and GM Bogdan Lalic appear to be using scoresheets, which, if it's a rapidplay event, surprises me. Thanks Richard. You should play for S&BCC in it! Graeme filled in a scoresheet against me until he got short of time in our rapid game at the Surrey 125th.